As this school year comes to a close, I am also wrapping up my second year as a classroom volunteer. 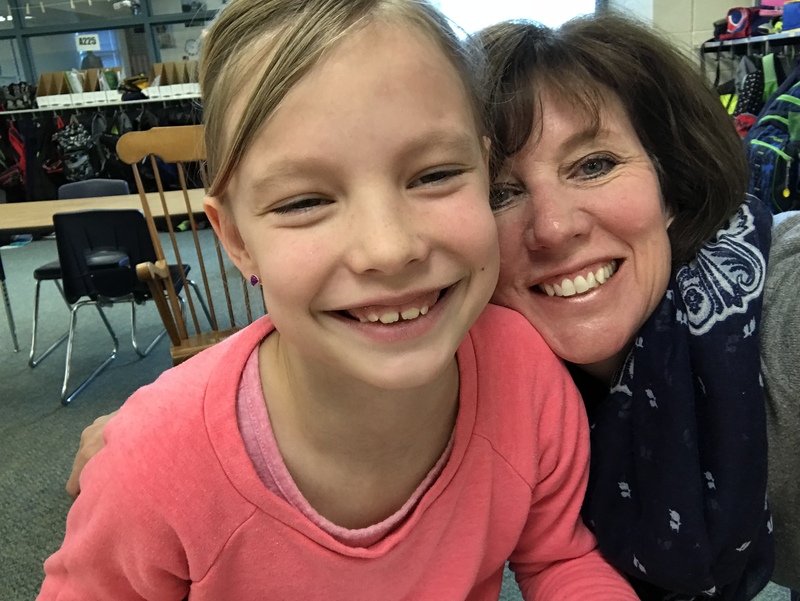 After serving two full years in this very important position, I thought it might be helpful to share a few things I have learned during my tenure of helping 45 minutes every month (give or take a few months when I couldn’t make it) in my child’s classroom. Now, I actually used the word “helping” in the previous sentence very loosely. You see, the role of classroom volunteer doesn’t come with any type of instruction manual or rule book, so that is why I thought it was important to share with other parents some of the things I have learned. I will admit that I got off to a bit of a rough start the first time I volunteered in my daughter’s first grade class. I mean, how was I to know that allowing the children to make farting noises with their underarms would be looked down upon in such a strong manner? I was assigned to take a few students out into the hallway and play a math BINGO game. I gave the students a math fact, and if they got it right, they would cover up that number on their BINGO card with a chip. In my quest to beat out all of the other parent in gaining the title of the Super Fun and Most Popular Classroom Volunteer, I thought I would jazz up our little game by making a sound when the group got the math problem correct or incorrect. The first group loved this idea, and we all used our normal indoor sound-making voices to say things like, “DA-DA-DAAAAA!” at a correct answer or, “BOOOOOOONG!” when the answer was wrong. This was going very well until we got to about the fourth rotation of students. I was starting to catch on that the teacher was sending the students out to me in groups of kids that had comparable skills in math. It might have been helpful though, if she had put stickers on them or something to indicate their tendency to get in trouble. Group Number 4 was especially excited about my idea to make sounds, and one child initiated the underarm farting idea. Before I knew what had happened, the entire group was slapping their arms down, filling the hallway with underarm farting noises. This also was when I discovered that my daughter’s teacher had several superpowers: Super Sonic Hearing and Stealth Undetectable Movements. I didn’t even see her behind me until her laser beam eyes had locked in on two of the boys. With a flick of her head, they were suctioned out of my math center and pulled back into the classroom. “What have I done?” I asked myself. I couldn’t believe I had allowed two of my little students to get in so much trouble they had to be removed from my center. So, it goes without saying that if I were to write a guide book on how to be a classroom volunteer, Rule No. 1 would be: Do Not Allow Children to Make Farting Noises with Their Underarms. This year, I decided it might be a good idea to switch from being a volunteer during math to helping out with language arts. Most months, my job is to give my group of three to four students three words that are on little cards. The students need to read the words, talk about their meanings and then write sentences using those words. At the beginning of the year, some of the words were a challenge to the kids. But as the year has progressed, the kids have flown through this activity pretty quickly. That’s why I, aka Super Awesome Fun Mom and Best Classroom Volunteer Award Nominee, have tried to come up with funny rhymes and guessing games to play with the words. A few months ago, I suggested that my first group of students use their fanciest, swirly handwriting to write out their sentences. I was amazed at some of the creative lettering these students could do. As I presented different words, they got more and more creative with their handwriting and artwork. One of the girls decided she would write in “cursive.” I do need to commend my daughter’s second grade teacher that she is actually teaching the class to write in cursive. However, the students had not progressed very far in this skill at the time. So, instead, my little group just began scribbling out their sentences. We were nearing the end of our time together, so I just asked them to tell me what their scribbled, imaginary sentences said. I also made them promise not to reveal to any of the other kids that I had allowed them to write in scribbles. They promised, and I prayed that I would not be fired. About two groups later, my daughter came out for her time in my center. Needless to say, Rule No. 2: Require Students to Actually Write Their Sentences with Real Letters. 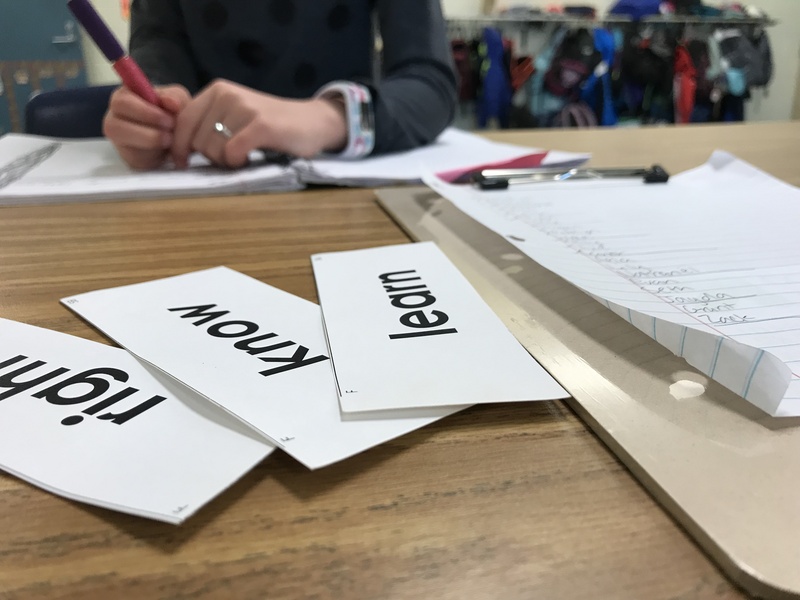 I took her look to heart, and although I couldn’t resist making up rhymes and playing guessing games with the words, I promise that every student spelled every word correctly and was reminded to use proper punctuation. Hopefully, this will get back to the school, and I won’t be blacklisted next year. Watch out, third grade. Here I come! 🙂 This is also why I no longer home school! Love this blog from you Emily! I volunteer at my kids classrooms too and it is so rewarding and makes me so thankful for all that teachers do! I agree Smitha! I’m so glad her school lets parents help in the classroom! …. even goofy parents like me!